Portugal is justly recognized as a Mecca for lovers of great seafood, always accompanied by delicious Portuguese white wines, of course! 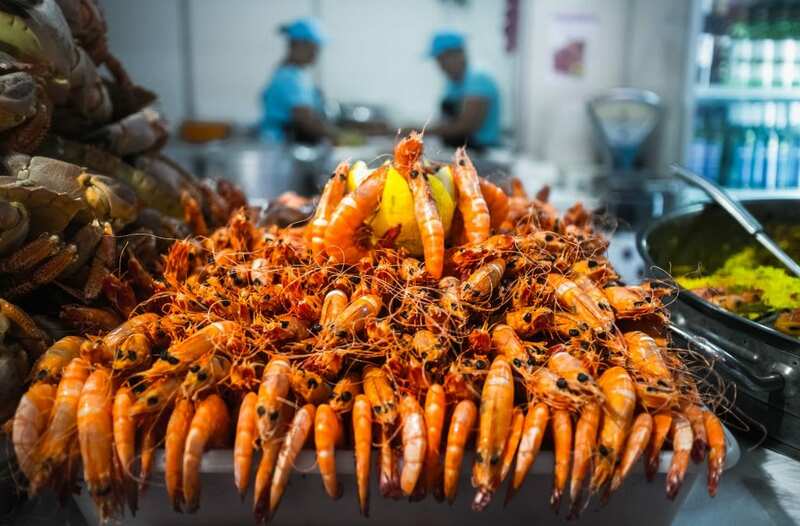 Like any sensible people, the Portuguese have made full use of their best natural gastronomic resource: miles and miles of gorgeous coastline that supplies some of the freshest, most varied fish and seafood in the world. Indeed, the country’s gastronomy has long placed the utmost importance on fish dishes, as any visitor who has sampled the ubiquitous, yet wonderful salt cod dish, Bacalhau, can testify. In fact, the Portuguese have been fishing for cod since the 15th century and coined the practice of preserving their catch by drying and salting the cod. But this is just the beginning: clams, oysters, mussels, lobster, squid and a plethora of Atlantic fish are up for grabs. 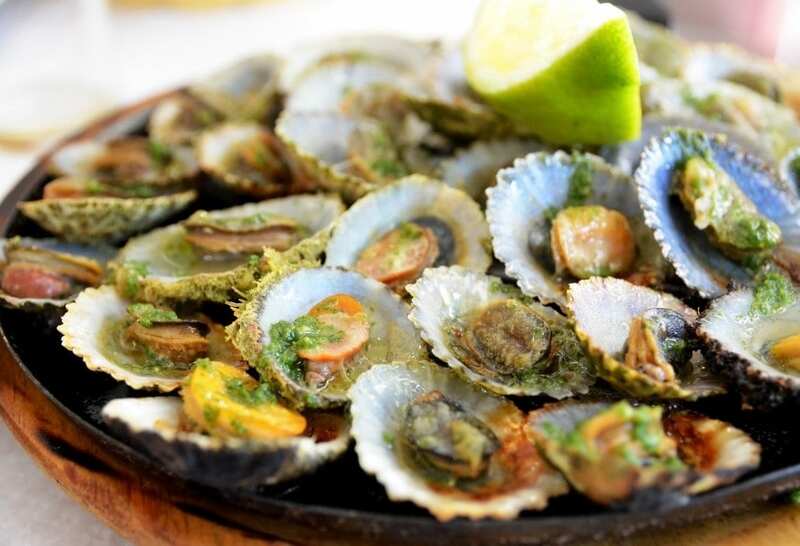 Being sat outside on a summer’s evening in one of Portugal’s Marisqueiras (seafood restaurants) enjoying the grilled catch of the day and a chilled glass of vinho verde is a very special experience indeed. Often nothing more than hastily assembled beach shacks, these type of restaurants are found in abundance across the country and are in massive demand during the summer season. You can experience these restaurants and many more on a Luxury, Private Chauffeured Food and Wine of Portugal Bom Apetite! A legend for the quality and freshness of its seafood, Ramiro has been satisfying regulars and visitors since the 1950s. The secret to its success and enduring popularity is simple: an abundance of delicious, fresh seafood, served at fair prices. Come here for some of the best tiger prawns, lobster, clams and salt cod in Portugal. Service is bright and breezy, the wine list full of aromatic Portuguese whites. There’s nothing to dislike, although be prepared to queue at busy periods as Ramiro does not take bookings. Exquisite fish dishes and particularly shellfish, are the order of the day here. 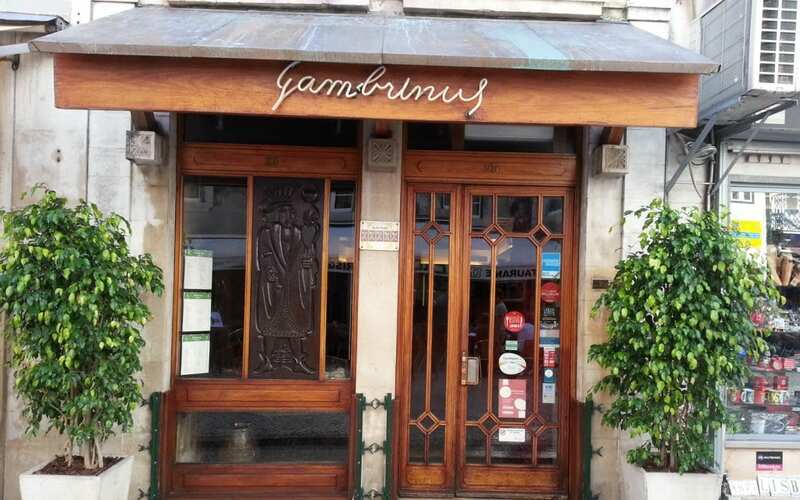 Gambrinus has been going since the 1930s, and still attracts a strong following; foodies who come in droves to enjoy the superlative, regional cooking in a unique setting. You dine in a wood-paneled beer hall, tended to by an army of professional, courteous and charming staff. In contrast to lively and buzzy Ramiro, the ambiance here is rather sedated, attracting an older crowd. Specialties you must try to include lobster stew, shellfish casserole, steamed clams, and lobster bisque. The wine offering is also one of Lisbon’s best; diverse, well-priced and boasts an extensive collection of fine vintage ports. 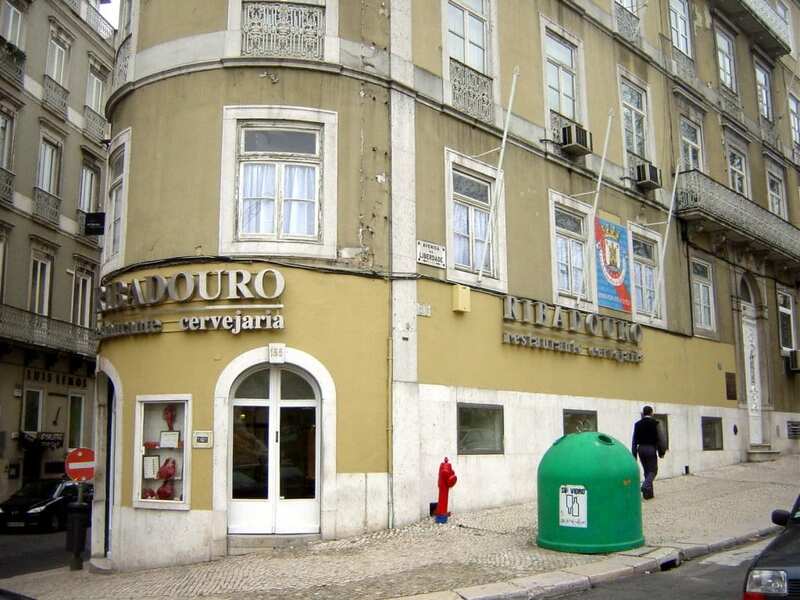 One of the most reliable places in Lisbon for honest, no-frills cooking, Cervejaria Ribadouro serves up plates and plates of every conceivable type of seafood and fresh fish. So as you might expect, this bustling bar venue gets seriously busy at evenings and weekends; if you want to experience the place with a more relaxed ambiance, it pays to arrive early. But whatever time you take a seat, you’ll be rewarded with the freshest seafood around. The formula is simple: order a glass of chilled white, select your live fish from the onsite tank and hey presto, it soon appears, perfectly cooked and seasoned. An unmissable stop on any foodies’ itinerary in Lisbon. Affable, gregarious waiters specialize in charming both regulars and tourists in one of Lisbon’s top seafood restaurants. They are lured inside by the promise of both traditional grilled fish dishes and sophisticated takes on the seaside classics. At Sea Me, you can either play it safe and order an abundant variety of different grilled fish dishes or explore the more international options. Perhaps a shrimp risotto or a Thai Green Curry with scallops and clams takes your fancy? The wine list is another gem; packed full of delicious, zesty whites from across Portugal. Book ahead, particularly in the summer months. Located on the outskirts of the city center, O Gaveto (meaning street corner) nonetheless definitely merits a detour. 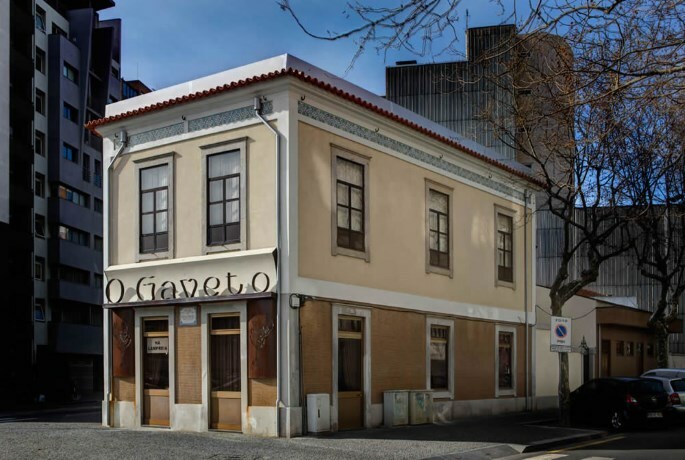 Family run and owned for over 30 years, O Gaveto is one of the friendliest restaurants in Oporto, welcoming both regulars and newcomers into its fold. 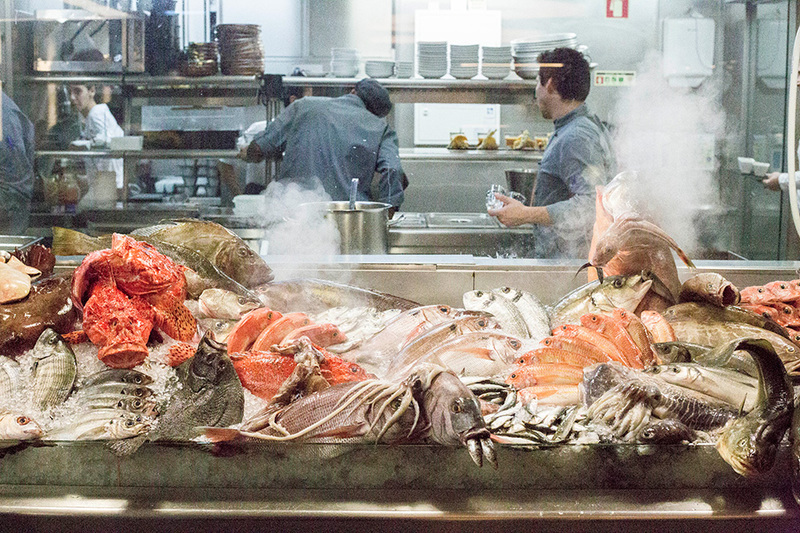 Their strict mantra of only serving the freshest catch of the day – in addition, to live shellfish from your nearby tank – has earned them a formidable reputation as one of Portugal’s finest seafood restaurants. We don’t need to make recommendations; whatever you choose will be fresh, delicious and perfectly cooked. Owner Manuel Pinheiro looks forward to welcoming you soon! 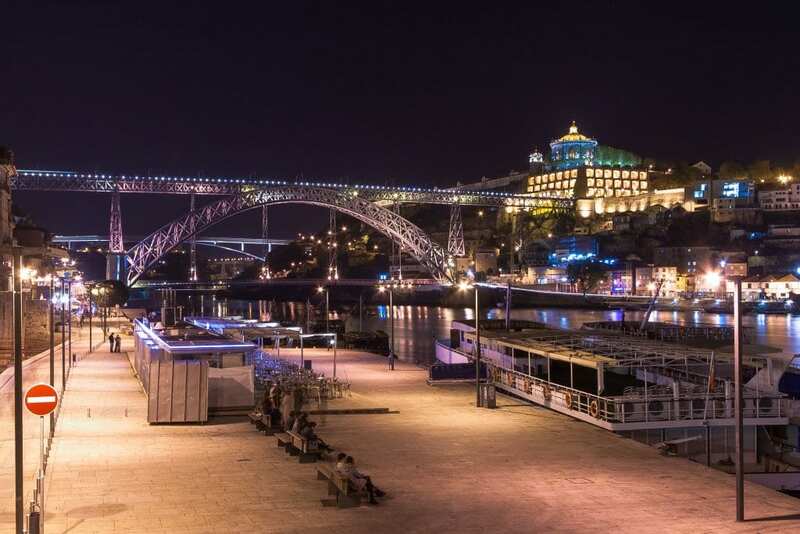 The eponymous Dom Tonho is undoubtedly Oporto’s most elegant riverfront restaurant, boasting gorgeous views of Douro river from inside and out. In the summer, hungry diners without a reservation queue for hours for a coveted terrace table efficiently looked after by a team of long-aproned waiters. They arrive with plates of some of the best seafood in Portugal, including the obligatory Bacalhau, loads of fresh seafood options and an excellent catch of the day selection. 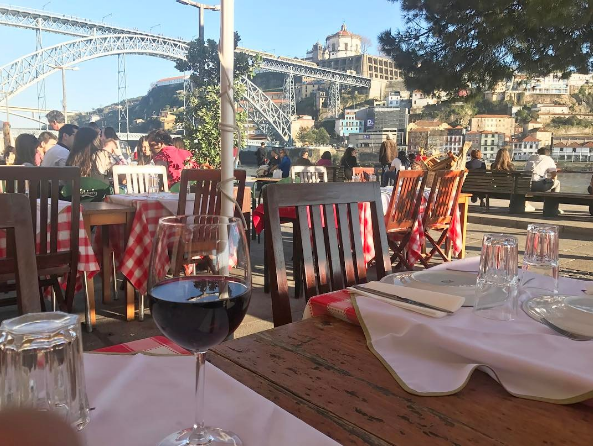 The wine list is also one of the most extensive and interesting in Oporto – head to Alentejo for some great whites from the likes of Esporao and Torre de Frade. One of Oporto’s most famous rustic haunts, Chez Lapin is justly celebrated for both its fantastic home-cooking and its impressive collection of memorabilia. All manner of odds and ends dangle from its ceiling and walls, including; lanterns, musical instruments, and antique clocks! But, lovable kitsch aside, Chez Lapin continues to attract a large following of both locals and visitors. The secret to its success is a straightforward one: honest, hearty cooking and keenly priced local wines in a fun, lively setting. Under all the paraphernalia, diners enjoy a mix of traditional and unusual dishes, such as salt cod with octopus, a local fish stew, grilled sea bass, and turbot fillets, our personal favorite. A great way to sample local Oporto cuisine. The views alone are worth the price of a meal at this iconic restaurant, one of Portugal’s finest examples of top-notch gastronomy merged with an unbeatable location. 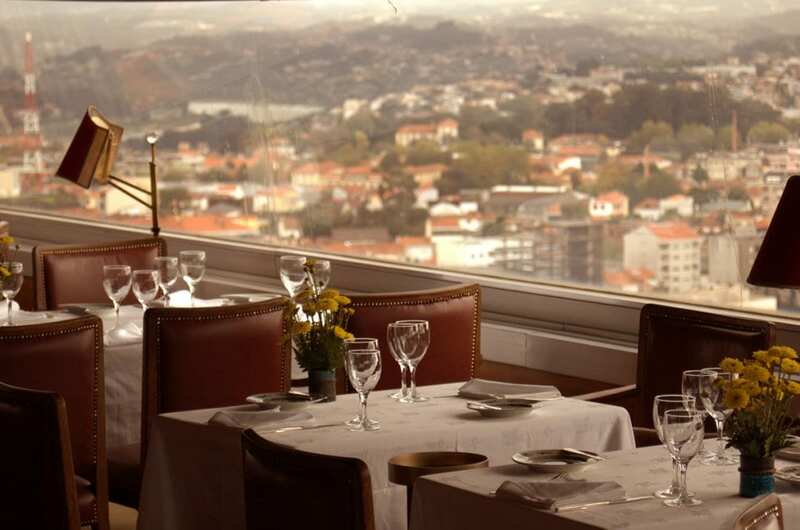 For Portucale isn’t just about fine-dining – the restaurant is situated atop Oporto’s famous Albergaria Miradouro (clock tower) and offers spectacular views of the city. However, the food certainly doesn’t play second fiddle to the magnificent view; Portulaca serves a wide variety of exquisite fish dishes, with a distinctly international take on regional classics. The restaurant has also the distinction of boasting a particularly large and diverse wine offering, with plenty of imported wines if you fancy a change from the local fayer. The perfect spot for a romantic evening for two. 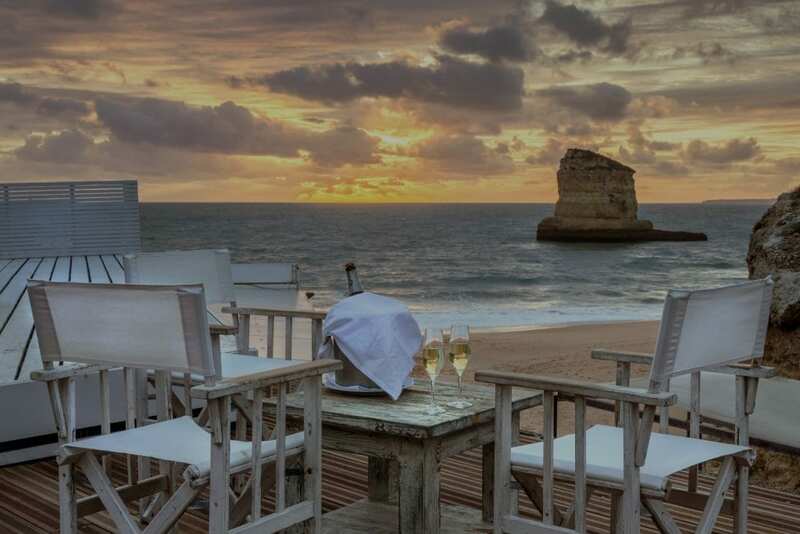 It would be hard to imagine a more perfect spot for spending a summer’s evening than Rei das Praias. A gorgeous wooden terrace juts out over the beach below, offering simply dreamy views of the ocean and beyond. An eclectic menu offering both simple grilled fish dishes and more inventive combinations wins pundits for its diversity, although we find that sticking to the catch of the day choices is best. There is also a classy wine list, which extends its reach far beyond the local area and includes some particularly fine bottles for a special occasion. Service wise, it cannot be criticized, the staff works extra hard to make your meal a memorable one – a most romantic experience awaits in this idyllic corner of the Algarve. 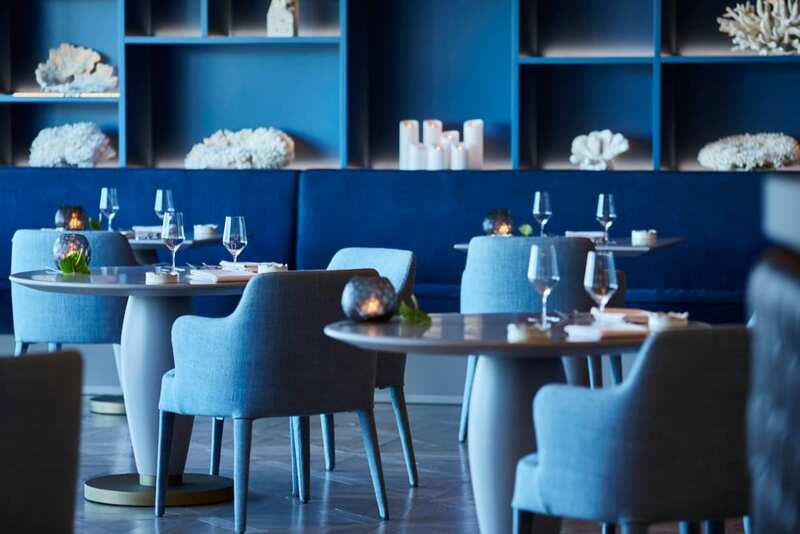 The Algarve’s classiest address, Ocean is one of the few restaurants in Portugal to hold more than 1 Michelin-star. It has become the darling of both Portugal’s elite and a well-dressed clientèle, who travel far and wide to sample head chef Hans Neuner’s inventive take on Portuguese gastronomy. The setting is an elegant hotel dining room offering lovely sea views, the service suitably professional and slick. But, the main draw is clearly the award-winning tasting menus, where sublime fish dishes usually feature heavily. On the 6-course taster menu, you could start with Violet prawn, followed by John Dory with burned artichoke, or perhaps scorpion fish and baby squid. Wine lovers will drool over the extensive wine list, full of local options and fine vintages from France, Spain and beyond. A hedonists dream come true. For over 20 years, Boia has held the enviable title of the Algarve’s most popular and relaxed seafood bar/restaurant. Everything is spot on here, from the perfectly appointed alfresco terrace to the delectable grilled fish dishes, which were caught only hours earlier. The formula is simple: take a seat on the terrace, order a cool glass of Alentejo white and peruse the list for what’s good. Your choices will include sardines, oysters, sea bass, bream and sole, which are grilled over charcoal, seasoned with a healthy pinch of Flor de sal, just as local culinary tradition insists. Friendly service and fair prices make the experience even sweeter. The only problem is that you’ll never want to vacate your table! I am really happy to glance at this blog posts which includes tons of valuable data, thanks for providing such information.